Morsi ceases security coordination in Sinai: How should he handle the peace treaty with Israel? 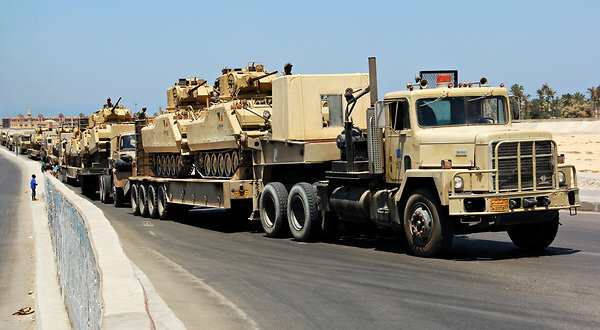 The peace treaty with Israel was a frequent topic in the campaigns for the new Egyptian president and now, as some in the Muslim Brotherhood suggested he might, Morsi has violated that treaty by not informing Israel about tanks sent into the Sinai buffer zone. How should Morsi handle the treaty with Israel?